There are some places in the world that just speak to you. For one Virginia man it’s a place tucked away in the Appalachian Mountains where an old house overlooks a creek that flows into the New River. During a remodeling project on the place, he says supernatural events began to occur that were beyond explanation. He thought no one would believe him about what he saw there. So he wrote a book that aims to document it. Some people believe there are no coincidences. That everything happens for a reason. Dave Miller bought the Newport, Virginia house, sight unseen while half a world away on a scuba diving trip. The first sign of something strange was seeing his own family name, ‘Sibold’ on the deed. Miller grew up in West Virginia, but had no idea the family had lived here more than 200 years ago after emigrating from Germany. A coincidence perhaps, but it wasn’t long before he started noticing what he calls in the book, energetic entities that may be manifesting themselves as ghosts, Indian spirits or some other supernatural phenomena. Miller holds a small device that measures electromagnetic fields. They’re generated around electric currents. But this iron railing beeping off the charts has no wires. It’s anchored to the limestone that leads down to the water, which flows through a dramatic gap below Clover Hollow Mountain. Miller has come to believe this place was sacred to early travelers and that a bit of their energy remains here, showing up as otherworldly looking orbs of light, strange sensations and coincidences. To him, the rocks that dominate this rugged, mostly wooded landscape tell stories. Which includes the feeling that he was being compelled by the strange energies to learn more, to find things they wanted him to see, but he says it was never scary. Miller explains, he’s not trying to prove anything. He just wants to get the story out there. “It came over me that nobody’s going to believe me. The only way anybody was going to believe me was to document it and publish it myself. I talked to National Geographic and contacted the Smithsonian. They were all interested, nice but not interested enough to pursue. 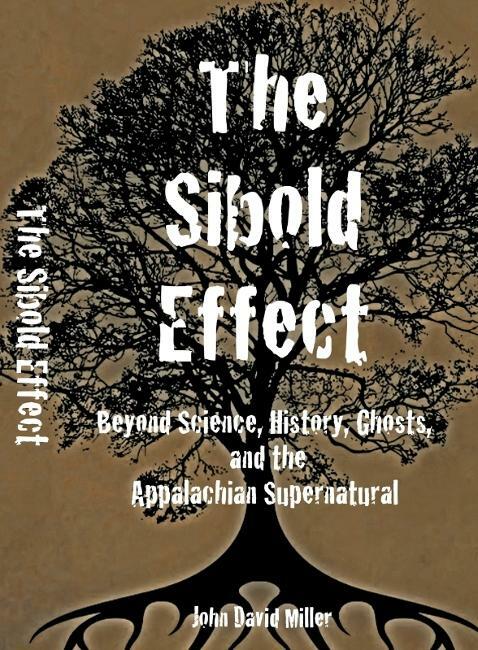 The book he wrote is called The Sibold Effect: Beyond Science, History, Ghosts and the Appalachian Supernatural named for his family, whom he believes, brought him here to write it.